So you want a new smartphone? Of course you do. With a big new phone coming out every couple of weeks, it’s easy to feel a little dissatisfied unless you have a mint version of the latest and greatest device out there. But you also want to make sure you get the cheapest deal on the newest device, right? That requires some planning. Smartphones are expensive, and you don’t want to get stuck in a two-year contract with a phone you don’t need or like. There are lots of things to consider before buying a new phone, and I’ve chosen 10 questions to help you decide whether it’s time to take the plunge, and how to get the best deal. Ask yourself these before buying your next device. This might seem like a no-brainer, but does the phone you carry right now work? Can it make calls? Does it do whatever else you need it to do? Yes? Then what do you need a new phone for? Unless your contract is up (see below) or the phone you carry is completely useless, you should think long and hard about why you’re replacing it. Can you renew your contract to get a subsidized price? This is probably the most important factor to consider when buying a new phone. After all, phone prices are heavily subsidized when you renew your contract, which can mean the difference between plunking down $200 or $600 at the register. Are you not ready to renew yet? Then you can probably wait to buy a new phone too. On the other hand, are you on a contract-free carrier? The good news is that you can buy a new phone whenever you please. The bad news is that you’ll be shelling out the full price, so choose wisely. Some companies work out discounts with particular carriers. Make sure to check with your company to see if any such discounts exist. Carriers will often ask where you work as well, but if they don’t, make sure to see if you are eligible for a corporate discount (or any other type of discount, for that matter). When was the last version of the phone you want refreshed? In general, hero phones (think brand-defining, standout phones like the iPhone 5 and Galaxy S 4) refresh about once every 12 months. Did the last Galaxy S come out 2 months ago? Buy away! Did it come out 9 months ago? Then you probably want to stick it out and wait for the new one. Have you chosen a carrier? Most people stick with the same carrier when they buy a new phone, which is fine as long as you’re happy with the price and quality of the service you’re getting. But if you’re looking to make a switch, it’s important to take some time to figure out which carrier will work best for you. You want to get a good price, of course, but you should also take network coverage and quality into account. At this point, for instance, I wouldn’t want to sign up with a carrier that doesn’t offer 4G LTE where I live right now. And that’s just the beginning. Because there are so many factors to consider in choosing a character, I plan to take a much more detailed look at this in a future post. Which is the right platform for you? If you love apps, get the iPhone. The Apple App store is home to more than 900,000 apps. Google Play has recently surpassed that number, but Apple has a much more rigid approval process, so you’re guaranteed a quality app without a side of malware. Windows Phone and BlackBerry are doing their best to keep up, but simply put, they can’t compete with Apple or Android when it comes to apps. Or do you love freedom? The iPhone has a more curated selection of apps, but it’s far less customizable than Android phones, and Windows phones, for that matter. You can load your iPhone up with a ton of apps that’ll allow it to do just about anything, but if you want, say, a weather widget on one of your home screens, it’s not going to happen. You should go with Android if you prefer a phone you can tweak and modify to your heart’s content. Heck, even Windows Phone has resizable live tiles and superior Facebook integration. 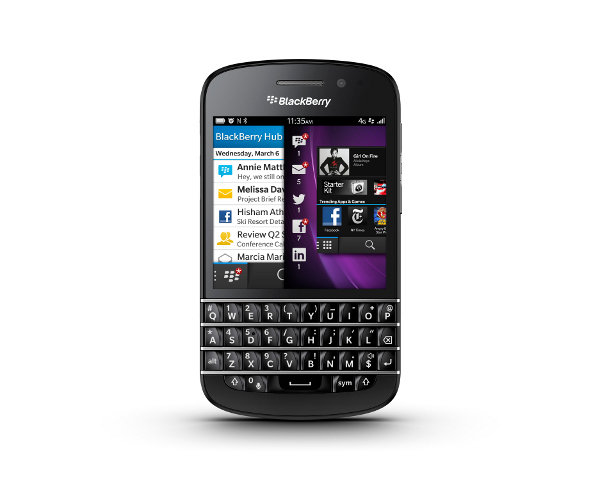 And if you place typing above all else, no phone is home to a better keyboard than BlackBerry. And which is the right phone? So you know which platform you’re interested in, but what about the phone? It you’re buying Apple or BlackBerry the answer is easy, since there aren’t many models to choose from. Even Windows Phone has a fairly limited selection, so you don’t have more than a few options on any given carrier.But if you’re into Android, things get a lot more complicated. First I’d figure out the largest size phone you feel comfortable using. Once you’ve narrowed it down to a specific size range, you’ll want to round up the newest, most powerful phones available and choose from there. This is the one time I’d actually recommend you not take price too highly into consideration. After all, you’ll like be spending upwards of $100 on a data plan per month. And when you think about it like that, whether a phone costs $99.99 or $199.99 doesn’t add all that much to your total overall cost. You can read a ton of reviews before deciding which phone sounds right for you (and you should). But nothing quite compares to the actual experience of using the phone, if only for 10 minutes. Make your way to the nearest retailer that has the phone you want and spend a little time with it. If everything suddenly feels right, you’ll know you’ve made the right decision. And if it doesn’t, there will be plenty other phones to try on until one fits. Can you return your phone? Most carriers offer a two-week grace period in which you can return a phone and back out of contract — all you have to pay is for the portion of the month you’ve already used. If you buy a new phone you decide you just can’t live with, then don’t! Bring it back and start the search all over again. After all, you waited two years for this moment. You don’t want to get stuck another two with a phone you don’t love. Do you even need a new phone? Look, you’re (presumably) an adult, so no matter how many times you type “Should I buy a new smartphone” into Google, you’re never going to just get back a single, validating result that simply says yes. Google doesn’t know if you need a new phone. I don’t know if you need a new phone. Only you know that. And you should be able to make that decision on your own. Featured image courtesy of Shutterstock user D. Hammonds. This post was updated at 7:00PM PT to correct a sentence about which mobile app store has the most apps. Man, I’m still using an old Nokia E63 which I got in 2010, when I was living in another country. Now, I feel so confused as to what phone to get, because no matter what I choose it’s going to be a big upgrade from the E63. This makes it really difficult to decide which one to choose from. Any new phone will get me up to date with the times, but how do I know that I’ve chosen the right one to suit my needs and tastes? I feel as if I should go with the free phones, such as an old iPhone, or S3 mini, etc., just to get a feel for what a phone ‘feels’ like these days. And then, perhaps, upgrade to the latest, greatest model of whatever little box I feel like I fit in to, in the mobile phone world. I bought a Lumia 520 (Windows phone) from AT&T for $99. Since my PC couldn’t detect it, and Windows doesn’t permit downloading music from YOUR OWN Skydrive to the phone, and since not even the immensely popular Swiftkey app is permitted, and no Dvorak keyboard (hope you’re happy with the terrible keyboard and Windows’ stupid predictions) I returned it the NEXT DAY. They charged me a 35% restocking fee. That’s hardly what I’d call a 2-week “grace” period. You missed one of the most important factors, hardware.A die shrink about to arrive or things like WIFI ac can at the very least delay a purchase. With Apple you also have access to only one store, the prices are higher and there is a lot more censorship – if you are gonna go there look at the matter from both sides. 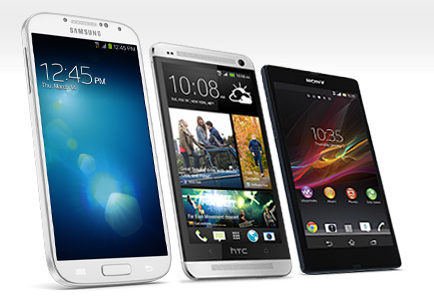 If you are on Verizon or AT&T it makes financial sense to get a new phone when your contract expires. Why? Because neither of them reduces your monthly payment when your contract expires (unlike T-Mobile with their new plans). This means that you continue to pay extra (usually around $20 — built into your monthly rate) for a phone THAT’S ALREADY PAID FOR! If I’m going to dish out that cash, I’d rather do it to pay off a new phone, rather than give money to those schemers for NOTHING! Dude they are not schemers they are BANDITS , legalized by our Government. Just like the Drug Companies..
You’re right, Z. It looks like Google Play recently nudged past the App Store as home to more apps. I corrected this in the post. Thanks. Right now, I use tablet at home (Nexus) , better than the phone. Outside home, my old Htc Desire still does the job, paying $10 month with Simyo. The Desire costed aprox $500 at that time, here in Europe. I have no urge to renew. 4G still not real 4G.